How to become an AskPatty.com Certified Female Friendly Dealer. Waiting rooms are for waiting. That’s something we adults are accustomed to doing. At the doctor’s office, at the DMV, and yes – at the auto and tire shop. Generally speaking, as long as we don’t feel uncomfortable or unwelcome, we adults don’t mind waiting a little bit for good work. Plush furniture, a plasma television, relevant reading material, and a cozy atmosphere will keep the parents pleasant while they’re waiting, but their children require a different sort of comfort. They like to know they’re included too, and a few old toys scattered along the waiting area floor aren’t going to cut it (and they’ll probably trip someone eventually). Here are a few tips on creating a kid friendly waiting area so that your guests of all ages can be comfortable and entertained. Create a “Kids Only” Zone. Kids love being kids – and they love having their own space. Carve out an area in your waiting area that’s set aside for the younger guests, and make it clear it’s just for them. Brightly colored paint on the walls gives the area immediate visual impact. Consider exciting colors and patterns for the floor too, by way of a different color carpet, or a fun area rug. Populating it with kid-size chairs, boxes, or small beanbags will make it clear that there are “no grown-ups allowed” in this area. Interactivity. Even in a fun, bright waiting area, kids will get bored of waiting pretty quickly, and while any kids’ area should have some toys, even those will only go so far. Put together a coloring book with an automotive theme and your business’ branding on the cover. To offset the printing costs, consider selling business-card ads on the back cover. On the inside, give the kids different kinds of cars to color, simple word search puzzles, mazes, and other games to interact with. A few activities like this and a package of crayons will go a long way to keeping kids – and parents – happy. Keep It Clean! This should go without saying, but any kids area shouldn’t look like a disaster. When you choose toys, remember to choose toys that won’t get lost in the adult seats and don’t have a lot of small pieces – because someone has to pick those up! Toys that are appropriate for a wide range of ages and genders are best – be wary of choking hazards, sharp corners, and other dangers for the younger kids. Keep disinfectant handy and clean the toys in the kids area frequently – and when you’re choosing toys, pick toys that are easy to clean. Small Gifts Get Big Smiles. Education-focused catalog shops like the Oriental Trading Company can provide you with low-cost trinkets that are perfect to give away to the inhabitants of the Kids Only Zone. Mini Beach Balls, Silly Bands, Pirate Hats, and other fun gifts can be purchased by the dozen or by the gross, so they’re very cost effective, and go a long way toward winning kids’ approval. Don’t Forget the Restrooms! Many times your waiting room will be inhabited by a single mom or dad with an infant or toddler. If you don’t have them already, it’s important that your restrooms – both of them – have a baby changing station installed, and are kept clean. Keep those bathrooms spotless and the changing station immaculate, and go the extra mile and have spare diapers and wipes and you’ll get a lot of brownie points with frazzled parents. 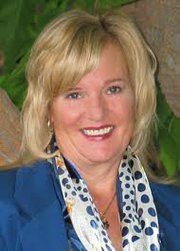 Jody DeVere is the CEO of AskPatty.com, AskPatty.com certifies automotive retailers to attract, sell, retain and increase loyalty with women customers, certified dealers are held to a high level of customer satisfaction. Visit www.askpatty.com to learn more about how to become an AskPatty.com Certified Female Friendly Dealer.